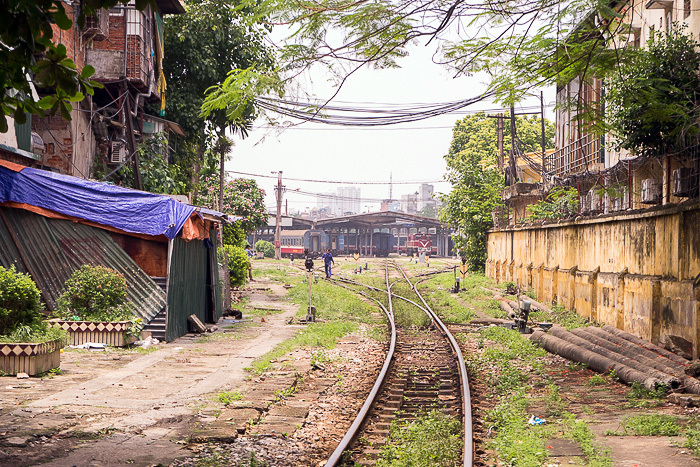 The well-trodden path along the train tracks starts, naturally enough, at the city’s main station. 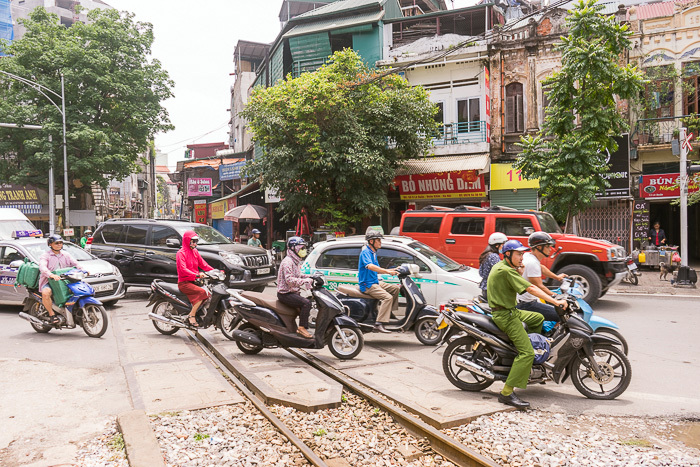 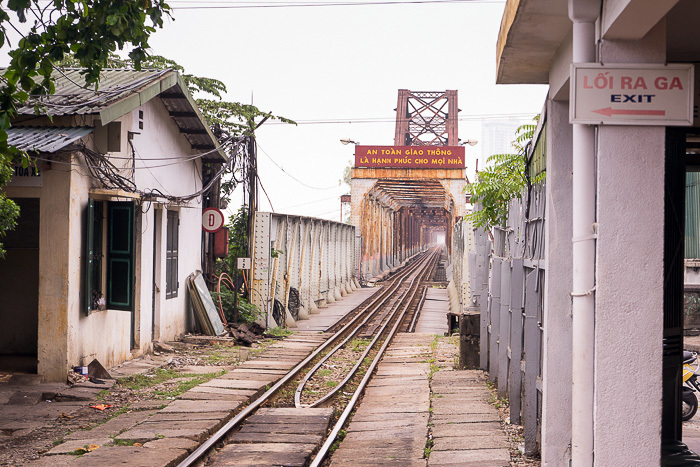 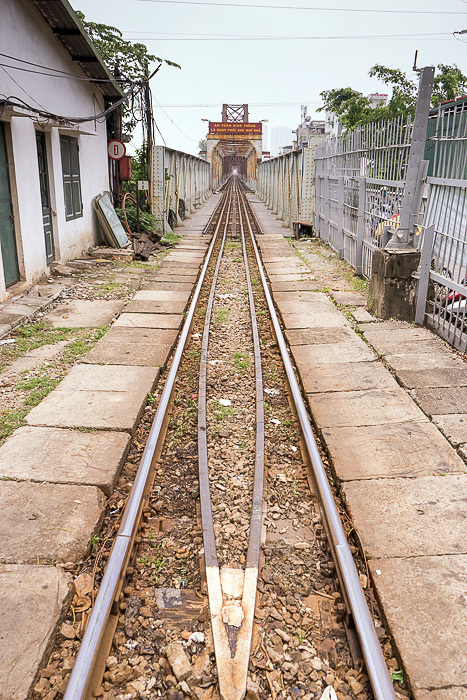 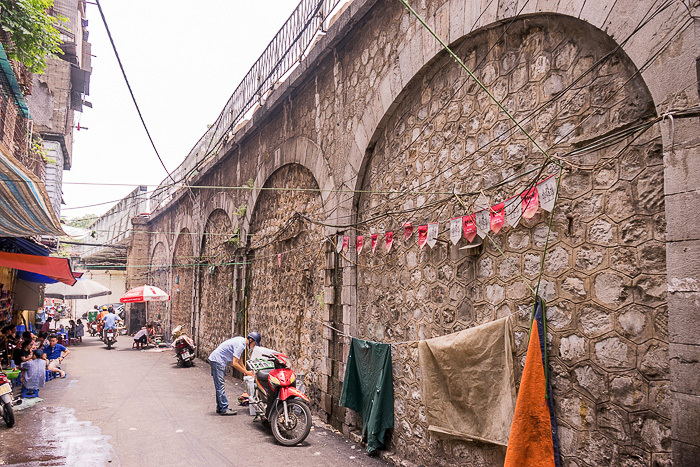 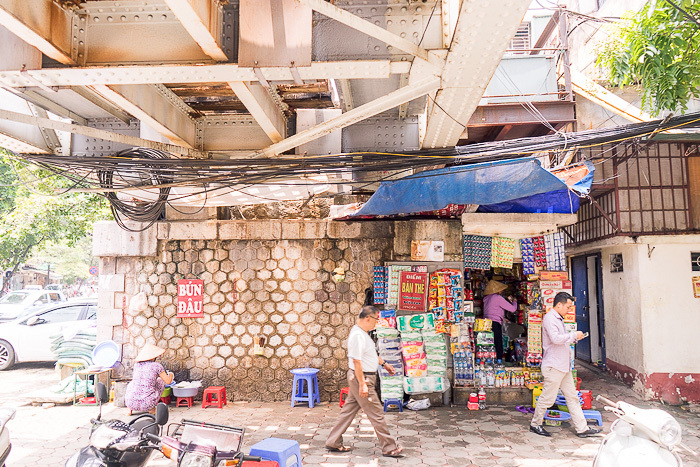 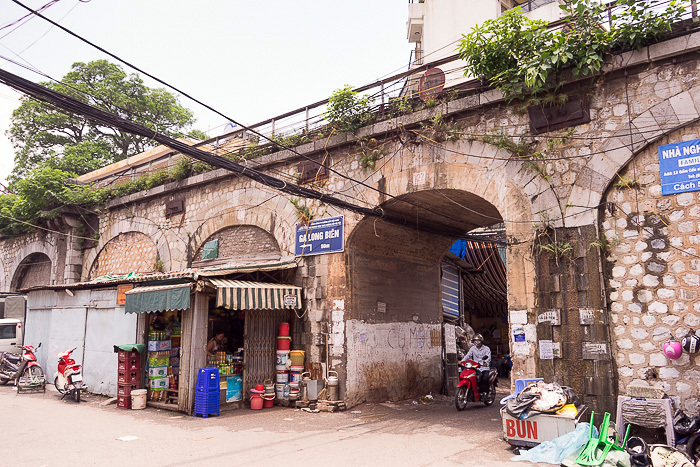 The rails skirt along the side of the Old Town, bending northwest toward the station of Long Biên, about two kilometers away. 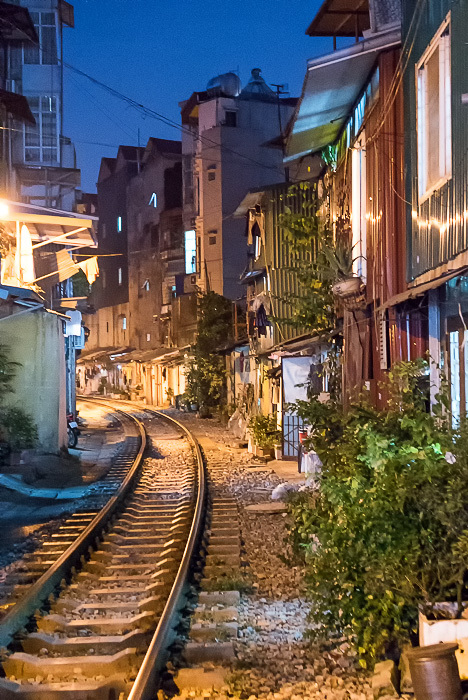 For the first half of the distance, you can walk along the tracks, passing by the small houses that are pressed up as close as possible. 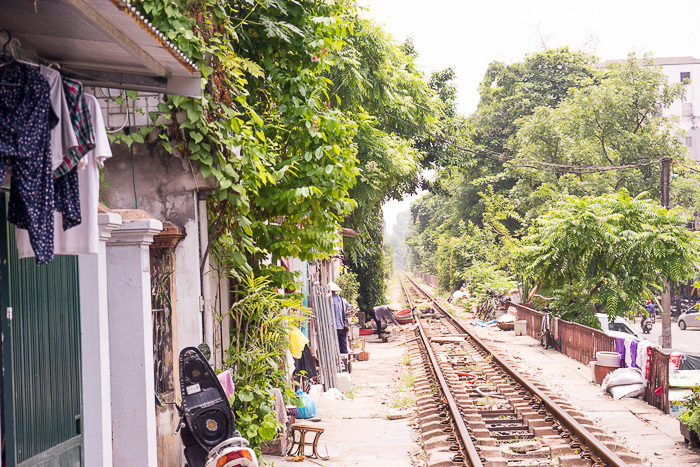 It’s hard to believe that people actually want to live here, despite the relative infrequency of the trains. 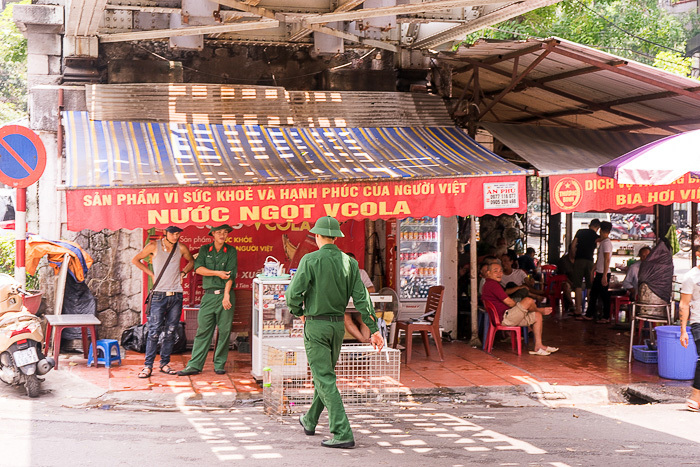 There are also cafes, restaurants and even clothing shops along the tracks. 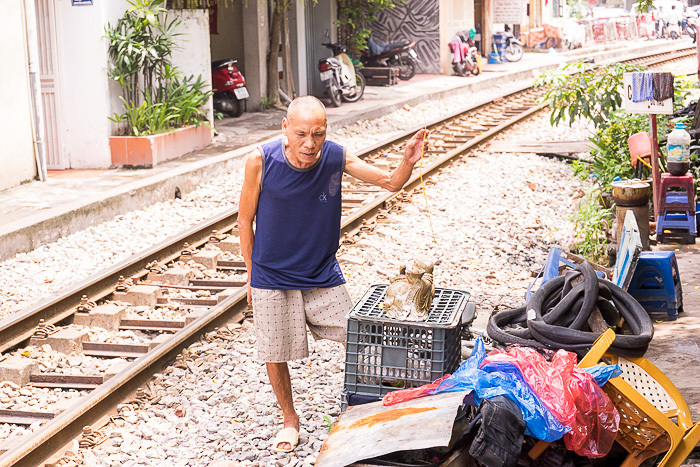 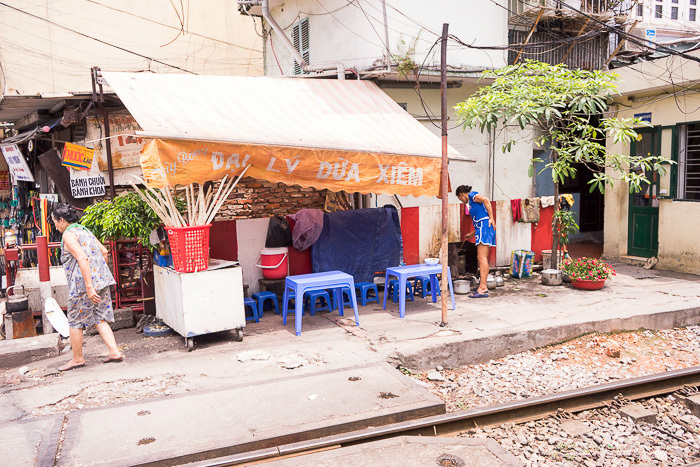 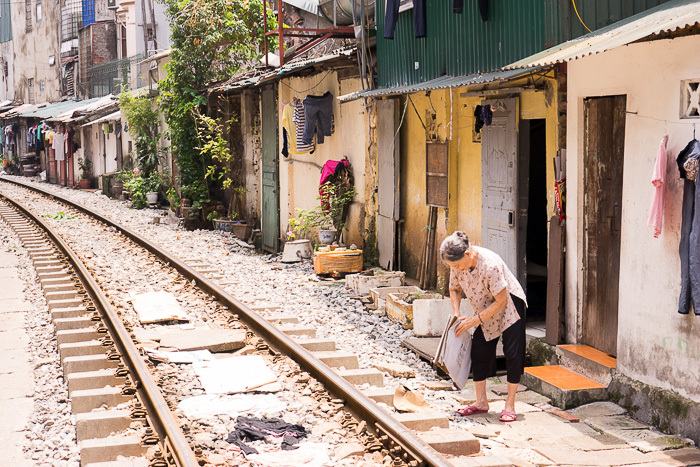 About halfway to Long Biên, you’ll be forced to step down from the tracks, when they become elevated and no longer accommodate houses. 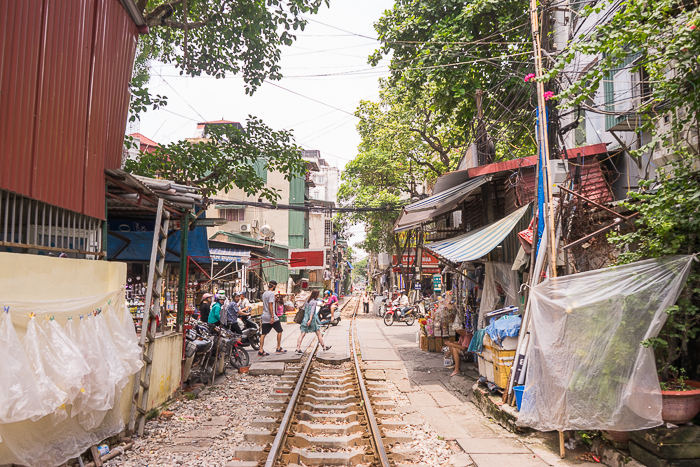 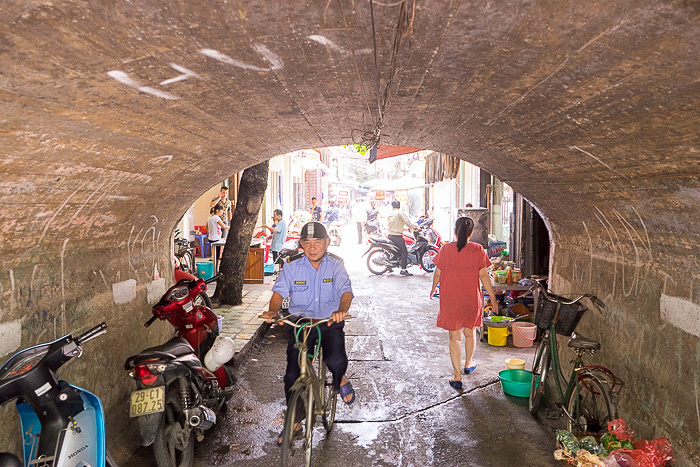 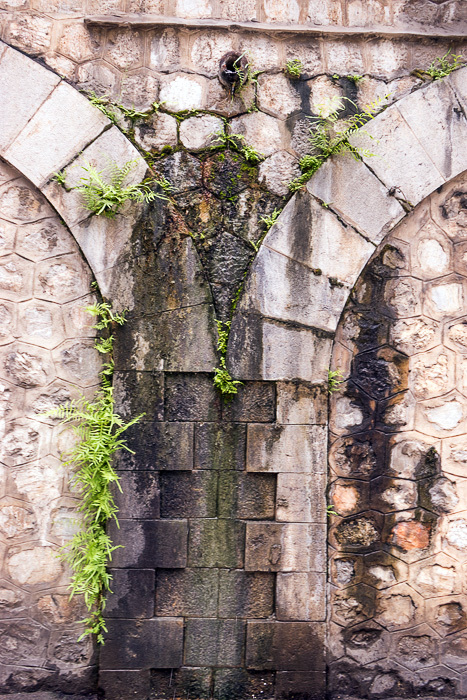 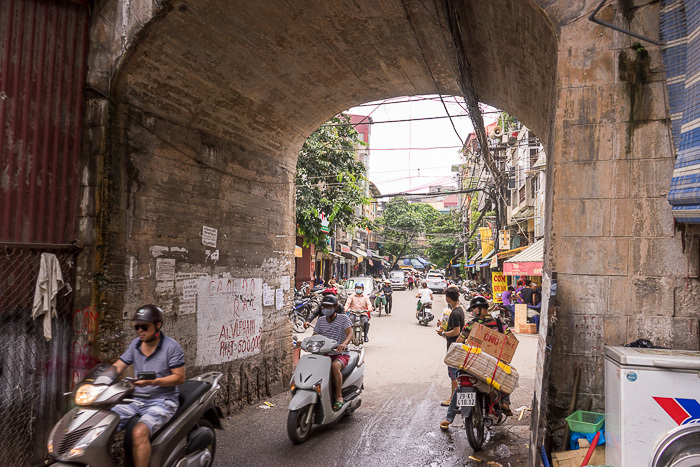 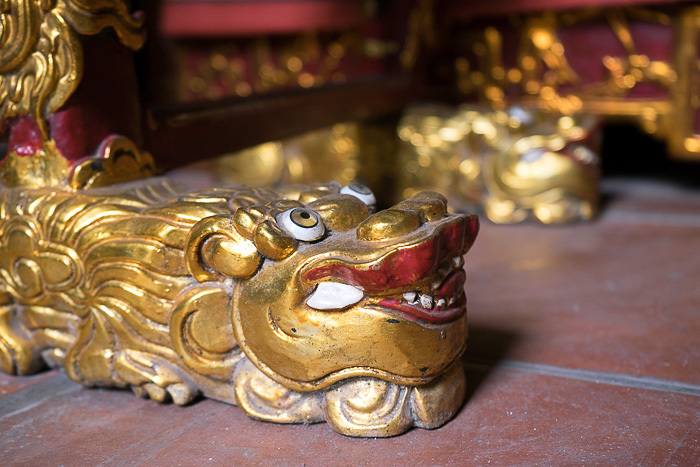 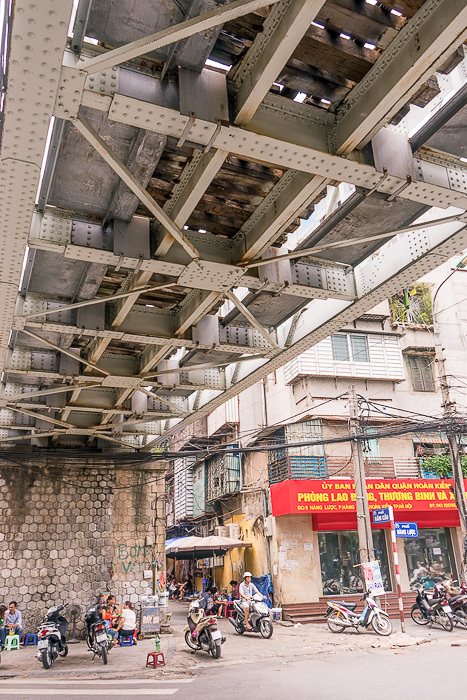 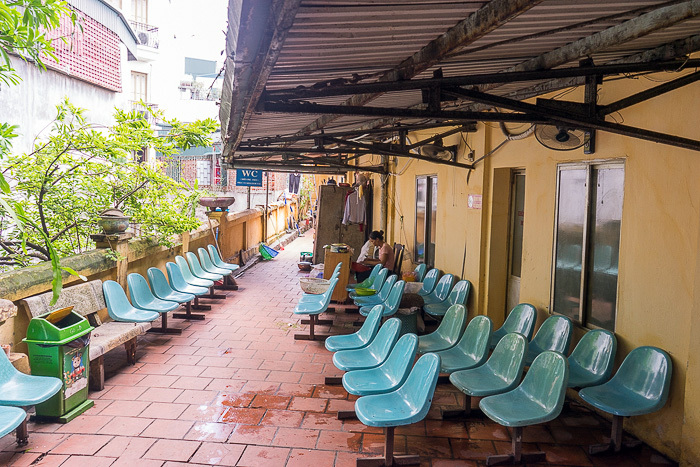 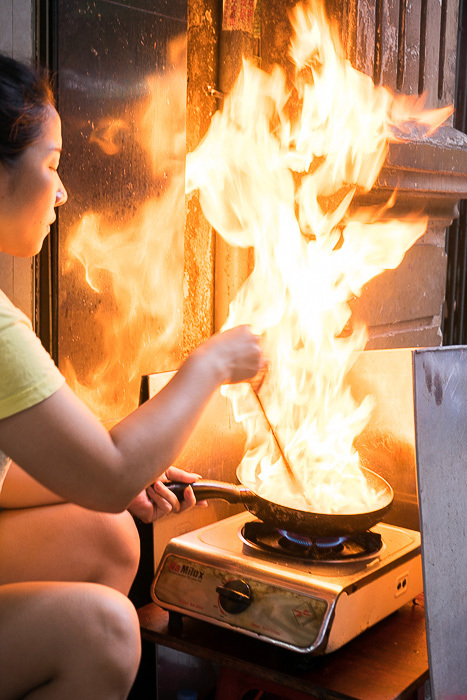 But it’s still worth following their course all the way through the city, as you’ll be exposed to a different, very local side of Hanoi. 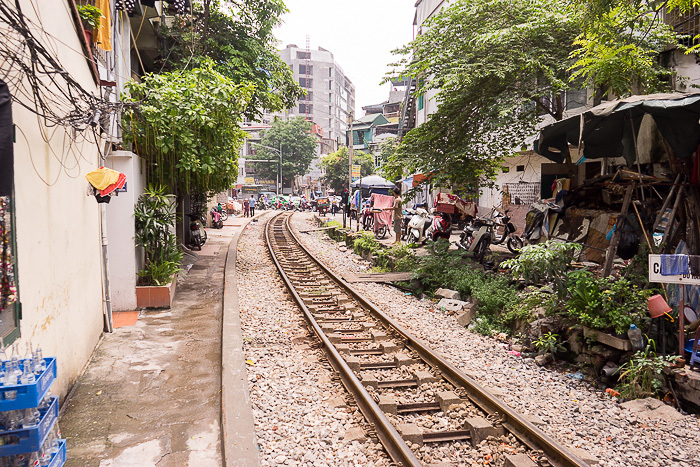 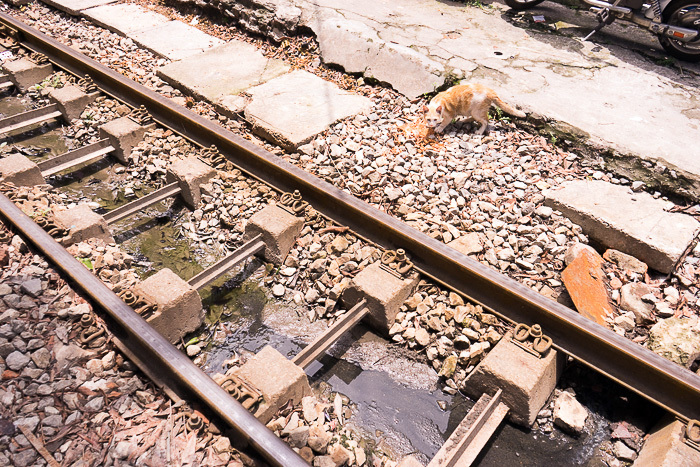 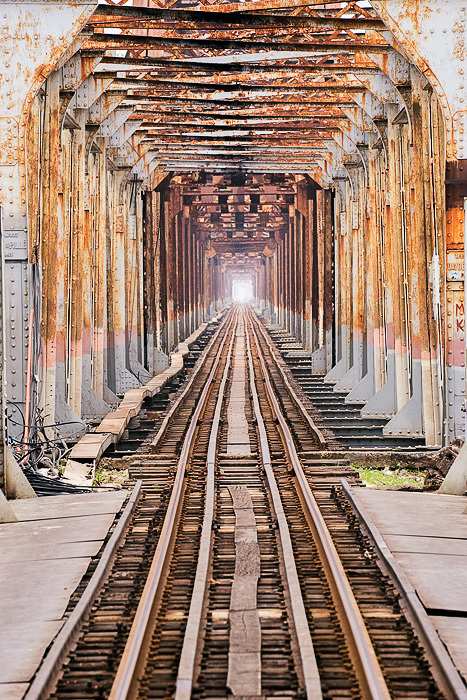 I enjoyed the “Train Tracks Through Hanoi” today. 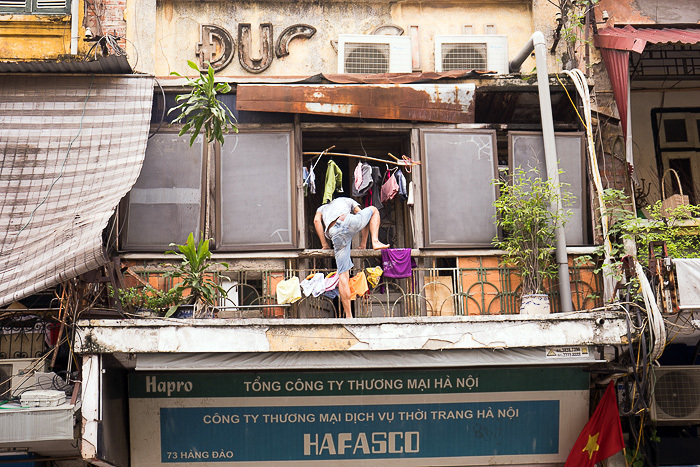 Interesting and informative on how/where the locals live. 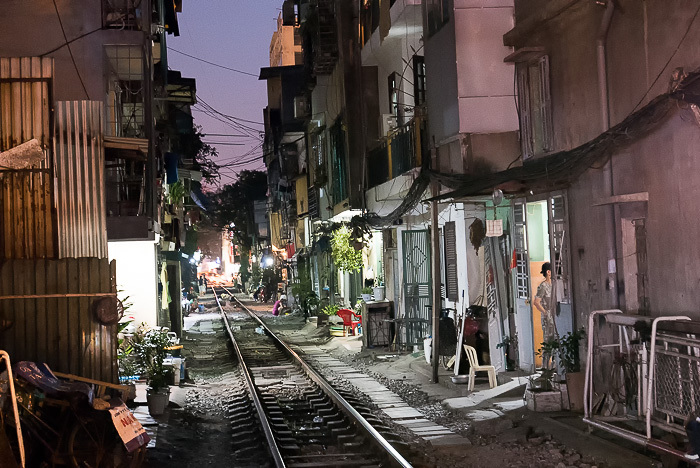 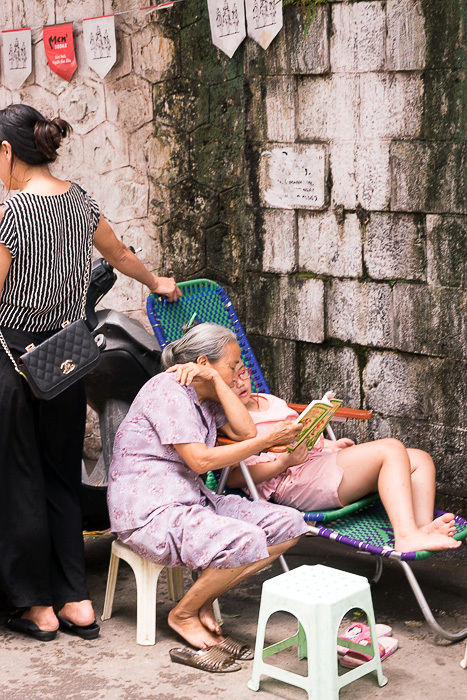 Interesting to learn how the locals are living….scary yet cool at the same time.